Ted Russell Kamp strips things back to the basics on his latest, relying primarily on bass and vocals to convey the conviction on these hardbitten, bluesy ballads. 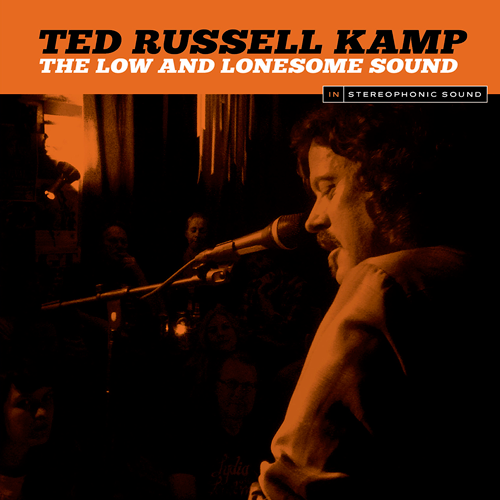 Ted Russell Kamp strips things back to the basics on his latest, relying primarily on bass and vocals to convey the conviction on these hardbitten, bluesy ballads. Kamp’s a terrific songwriter, but it’s his version of Townes Van Zandt’s indelible “Tecumseh Valley” that makes the most formidable impression here. It also happens to be the most embellished arrangement accorded overall, but given these spare settings and its forlorn violin accompaniment, it’s practically as bare-boned as the rest. While Kamp’s approach is intriguing, the need to lean in and listen intently makes for a somewhat unobtrusive encounter. And while “Another Love Song” allows him to get in a groove, he still deserves credit for truth in advertising. The Low and Lonesome Sound provides all it promises.